As much as some people hate to admit, the greater part of the professional photography world is divided, brand wise, in two major camps: Canon and Nikon. I won’t waste your time arguing why things are like that, I don’t think there is any point to it. After looking at Nikon’s top three professional choices of the present day, it is time to shine the light on the red circle gang: Canon’s top Ls. By the way, the “L” stands for luxury. 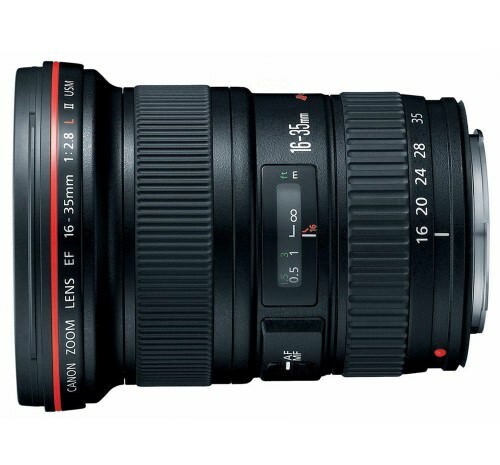 Read what other photographers are saying about the Canon 16-35mm here. The second and current version of this successful lens was introduced in 2007 and it is fair to say that it was a major upgrade. Faster focusing, better sharpness and great color reproduction make it Canon’s best ultra wide angle lens available on the market. The optical arrangement consists of 16 elements in 12 groups. Ultra Low Dispersion glass was used on two elements ( similar to the Nikon ED glass), reducing color fringing. The filter size is 82mm and personally, I find that a bit of a drawback. The pro standard is 77mm, and someone switching from the older version would have to buy additional filters as well. 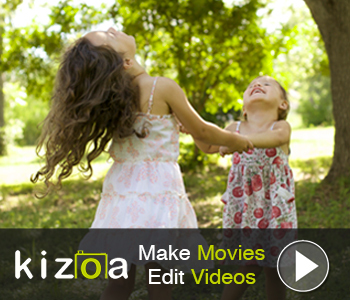 Other than that, the built quality is top of the line and it feels really good in your hands when mounted on a 5DMKIII. The focusing is almost instant and very accurate. It is the ideal lens for landscapes, but it also makes a great asset for a wedding photographer and not only. Read what other photographers are saying about the Canon 24-70mm here. When the previous version of this lens came out, in 2002, one of my friends was the first pro photographer in his area to buy it. I was naturally very curios of how it looked and worked, so I asked him to lend it to me for a test. I remember nicknaming it “the jar” because of its bulky size and huge lens hood. Anyway, last year Canon released the successor of this wonderful midrange zoom. The mark II version is possibly the best lens in its class. The first impression you get when first touching it though, is that Canon decided to get cheap on materials. There is a lot more plastic on this version, instead of the cold, metal feel of the mk1. It’s also slightly lighter and the filter size is, again, 82mm (it seems this is Canon’s new standard size) .The included lens hood, EW-88C is a lot smaller and although it looks pretty good mounted, I kind of miss the massive lens hood the first version came with. Optically, it has 18 elements in 13 groups, one super UD and two standard UD glass elements, The front and rear elements have a special fluorine coating to prevent fingerprints, and it’s is actually quite impressive. Canon also claims that the lens is waterproof around the zoom ring, switch panel, focusing ring and zoom lock. However, I highly recommend protecting it as much as possible, considering it is not the most affordable investment you will make. 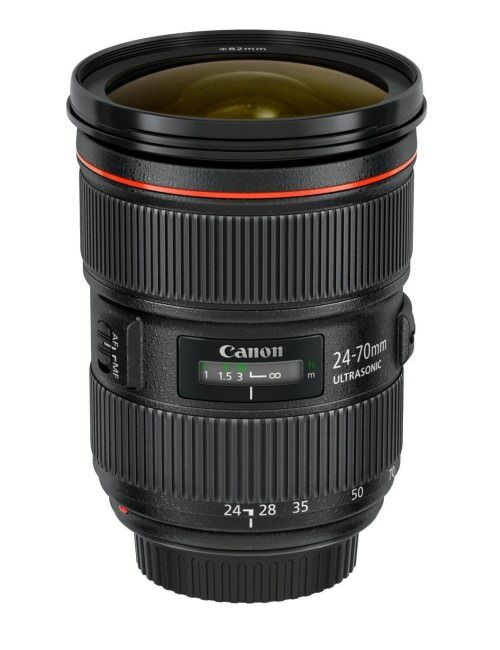 Speaking of costs , you could also consider the excellent 24-70 f4. It’s not as bright, yet not so expensive either. In terms of image quality, there really isn’t anything that could be held against the 24-70mm 2.8 II. It’s incredibly sharp all the way, flare and ghosts rarely occur, color rendition is pretty much the same as with all L class lenses, which is very good. Focusing is very ,very fast and also pin point accurate. It is the best standard zoom money can buy for a Canon pro and thus, I highly recommend it . Read what other photographers are saying about the Canon 70-200mm here. It is so good , that almost every Canon pro I know owns one. 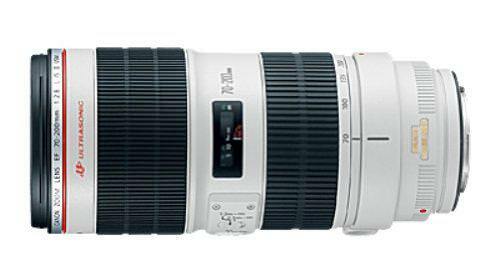 Portraits, weddings, sports, nature and any other kind of photography that requires this zoom range can greatly benefit from this wonderful instrument. It was released in 2010 to replace an already fantastic lens . It made things better when many believed there wasn’t room for improvement. It is massive and at a weight of 1,6kgs with the tripod collar mounted, it isn’t a light lens to work with all day, but this is expected for this class of zooms. Internally, it is made of a whooping 23 elements divided in 19 groups. One element is fluoride coated and five are UD. Regardless of focal length, the bokeh is wonderful and the background is subtly reduced. Distortion is very moderate, with some pincushion at 200mm. At 135 mm and 200mm there is virtually no color fringing , however at 100mm there is just a slight hint of magenta fringing. Overall, this is an optical work of excellence. The USM (Ultra Silent Motor) is indeed very silent and lightning fast. The IS (Image Stabilization) is rated four stops and while some say it makes tripods useless, I disagree. It works just fine and it makes a huge difference, but I don’t think there is any system good enough to fully replace a tripod yet. Overall, if you are a full time pro using Canon that actually makes money using a lens like this, there simply isn’t a better option. It is a pure joy to work with despite the weight and size, and the results are amazing every single time. If, however, you’re a student or a non professional, I suggest taking a look at the 70-200 f4 which costs less than half, but still packs the same, trademark L quality.